SEBI as a statutory body was established in 1988 through SEBI Act. Spot exchanges do not exist in India. Raising capital from the existing shareholders of a company is called Rights Issue. A share given to the employees of a company without any charge is called Bonus share. Statement A is wrong: SEBI as a statutory body was established in 1992 through SEBI Act. Statement B is wrong as 4 spot exchanges exist in India. National Spot Exchange Ltd. (NSEL), NCDEX Spot Exchange Ltd, Reliance Spot Exchange Ltd. Indian Bullion Spot Exchange Ltd.
commodities, metals and bullion by providing spot delivery contracts in these commodities. Statement D is wrong; A share given to the employees of a company without any charge is called Sweat share while that given to existing shareholders is called Bonus or scrip share. With respect to derivatives, consider the following statements. It is an equity instrument. Commodity or forex can also be underlying assets for derivatives. They can be traded on stock exchanges. Derivatives are debt instruments not equity instruments. They derive their value from underlying assets which could be equity, forex, commodity or any other asset. They can be traded on stock exchanges. Through Indian Depository Receipts, investors abroad can invest in Indian companies. multinational companies, in Indian rupees. 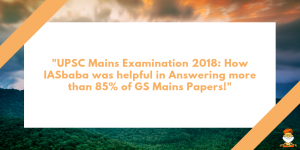 Statement B is correct as Participatory Notes (PNs) are issued by SEBI registered FIIs in foreign jurisdictions against Indian securities. Which of the following are reasons for less developed corporate bond market in India? All the above are reasons for less developed corporate bond market in India. They are form a security which pools a basket of assets and are tradable on a stock exchange. These are type of transaction between two parties, in which one party agrees to pay a specific amount to the other party for a specific amount of time. ETFs are securities which pool a basket of assets and are tradable on a stock exchange. Example: Bharat 22 ETF- Assets of 22 public and private companies, CPSE ETF, etc. Statement B refers to Credit Default Swap. Statement C is the definition of External Commercial Borrowings. Consider the following statements with respect to options and find the correct one. Call options provide the holder the right (but not the obligation) to purchase an underlying asset at a specified price, for a certain period of time. Put options give the holder the right to sell (but not the obligation) an underlying asset at a specified price. The given statements are correct definitions of options. Depreciation occurs in pegged exchange rate system while devaluation occurs in a floating exchange rate system. Depreciation favours exports while devaluation doesn’t. Devaluation occurs in pegged exchange rate system while Depreciation occurs in a floating exchange rate system. Both Depreciation and devaluation favour exports as the value of domestic currency is lowered against foreign currency and exports become competitive. Nidhi companies are Unregulated Non Banking Financial Intermediaries. Their operations include borrowing and lending only among their members. They are governed by the rules under Companies Act 2013 and hence are regulated by Ministry of Corporate Affairs and not Ministry of Finance. Which of the following correctly describes the process of underwriting? It is an investment to reduce the risk of adverse price movements in an asset. It is a process through which any member-owned organisation becomes a shareholder-owned company. It is a process to guarantee the purchase of shares in IPO or rights issue in case not fully subscribed by the public. Statement A is the definition of Hedging: It is an investment to reduce the risk of adverse price movements in an asset. Statement B is Demutualisation: It is a process through which any member-owned organisation becomes a shareholder-owned company. Statement C is Underwriting: Merchant Banks, Investment Banks manage and underwrite public issues. Which of the following is correct about Real Estate Investment Trusts (REITs)? One can invest in REITs in both primary and secondary markets. There is no minimum investment subscription for REITs. Real Estate Investment Trusts (REITs) are like mutual funds. They pool in money from the investors and issue units in exchange. They are regulated by SEBI. One can invest in REITs in both primary and secondary markets. The minimum investment subscription for REITs is Rs 2 lakh. Also minimum offer size of an REIT is ₹250 crore. Consider the following differences between Angel investors and Venture Capitalists. Angel investors invest their own money while venture capitalists invest public money. Angel investors are individuals while venture capitalists are firms and not individuals. Funds need to be invested in a company for at least 3 years. According to SEBI, investment by angel investors is restricted to Rs 50lakh and Rs 5 crore. They can invest in a company not older than 3 years. Funds need to be invested in a company for atleast 3 years. They form part of the State list in Schedule 7 of the Indian Constitution and hence are regulated by State Governments. Recently, Chit Funds Act was amended in the light of Saradha Scam and Rose valley scam. Chit funds form part of the Concurrent list of Schedule 7 of the Indian Constitution and hence are regulated by both Central and State laws. There is “Registrar of Chit funds” in every state for regulation. Statement 2 is correct as Chit Funds Act 1982 was amended in the light of Saradha and Rose valley scams. Considering Non-Banking Financial Companies (NBFCs), find the correct statement. All NBFCs are regulated by RBI. They are registered under Companies Act, 1956. NBFCs are similar to banks in all aspects. They work in domains like chit business, leasing, agricultural, industrial activity. Only Statement B is correct. Statement A is wrong as some NBFCs are regulated by RBI and some by SEBI. Statement C is wrong: NBFCs are similar to banks but have few differences like they cannot accept demand deposits, cannot issue self drawn cheques, and are not part of the payment and settlement system. Statement D is wrong: They can function in chit business, leasing etc but not in agricultural or industrial activity. Futures can be traded on exchange while forwards is merely a signed contract between two parties. Futures and options are two types of derivatives and derive their value from an underlying asset. Futures can be traded on exchange while forwards is merely a signed contract between two parties. Options are a class of futures where buyer or seller has the right but not the obligation to buy/sell. Which of the following are prerequisites if Rupee has to become an international currency? There should sufficient scale in its issue. A currency is said to be international currency when other countries banks and other financial institutions, citizens can hold it for financial security. Issuing country should have sufficient scale: There must be so much currency which should be available for international transactions. It should be hard currency: i.e its value should not be volatile. It should be liquid: Significant quantities of assets should be bought and sold without noticeably affecting its price. With reference to Capital markets in India, which of the following statements is wrong? With depositories, the paper work and transaction cost are reduced. Statement B is wrong as Gilt edged securities are issued by Central Bank (RBI) on behalf of the government of India for raising money. They were first issued by International Finance Corporation (IFC) in 2013. Currency risk will be borne by the investor. Hence these are advantageous for Indian corporate. All the given statements about Masala bonds are correct. Economic Survey 2017-18 proposed the idea of setting up a bad bank (Public Sector Asset Rehabilitation Agency (PARA)) in India. Considering the idea of Bad bank which of the following statements is correct? It can provide a parallel mechanism to Insolvency and Bankruptcy Code (IBC). Economic Survey 2017-18 proposed PARA – Public Sector Asset Rehabilitation Agency to function as a Bad bank. It will function similar to Asset Reconstruction Companies that buy stressed assets and auction them off for cash. However, India is not the first country to propose the idea of Bad bank. First done in USA in 1988. If a bad bank is established it will function in parallel to the Insolvency and Bankruptcy code to solve the problem of NPAs. Bonds with variable interest rate with a fixed percentage over the benchmark rate. Bonds for which interest rate is pegged to the changes in exchange rate of Rupee. Bonds for which interest rate changes according to inflation. Floating rate bonds are with variable interest rate with a fixed percentage over the benchmark rate. Capital Indexed bonds are Bonds for which interest rate changes according to inflation. Which of the following pairs is/are correctly matched? The Global Investment Trends Monitor provides the international community with up-to-date data and analysis on trends and emerging issues relating to FDI and the activities of multinational enterprises. Which of the following is/are the possible consequences/of stubble burning? Brucella species are small, Gram-negative, nonmotile, non-spore-forming, rod-shaped (coccobacilli) bacteria. Can Electoral Bonds be purchased multiple times by same Applicant? Yes. Every application will be treated as fresh request for Electoral Bonds purchase and every time fresh KYC documents will be given. The Electoral Bonds under this Scheme may be purchased by a Person, who is a Citizen of India or Incorporated or Established in India. Commercial borrowings continued to be the largest component of external debt with a share of 37.1 per cent, followed by NRI deposits (23.9 per cent) and short-term trade credits (19.9 per cent). In which of the following places will you find ‘Desierto florido’? 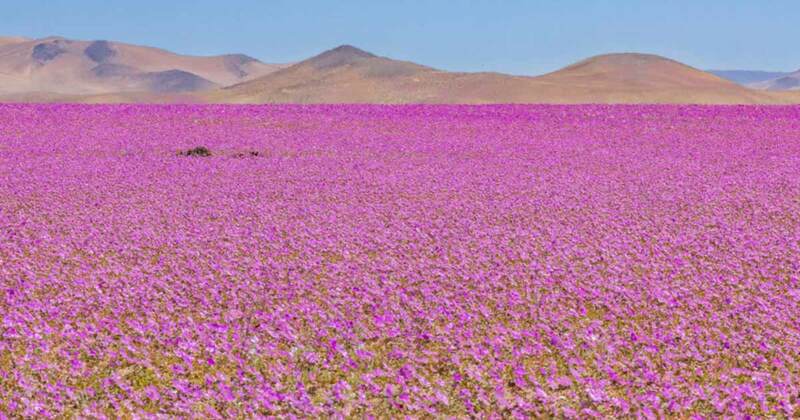 In news: “Desierto florido”, or flowering desert, returned to the Atacama Desert in Chile, the earth’s driest place, some four years before the usual time. A desert bloom is a climatic phenomenon that occurs when unusually high rainfall awakens seeds, bulbs and rhizomes that have been dormant in deserts for years, sometimes even decades. This results in a stunning blossoming of flowers that create a burst of color all over the land. Desert blooms have been seen in several parts of the world, albeit rather infrequently. The places where it’s most common are Australia, Arizona in the U.S., and the Atacama Desert in northern Chile. Thousands of migrants have arrived at the US-Mexico border after travelling more than 4,000km (2,500 miles) from Central America. They say they are fleeing persecution, poverty and violence in their home countries of Honduras, Guatemala, and El Salvador.